Like a colourful, fragrant garden itself, the Edinburgh International Book Festival in Charlotte Square has flourished beautifully since it was founded in 1983. According to the literary festivals website, there are around 350 book festivals in the UK from Aberdeen to York. The largest are Oxford, Hay, Cheltenham and Edinburgh. 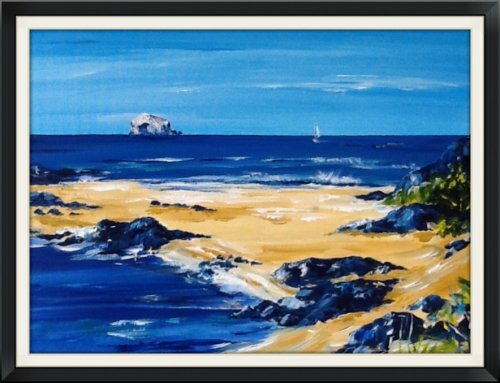 Perhaps inspired by Fringe by the Sea which brings music, culture and entertainment to North Berwick in August, a new Book Festival is being launched in East Lothian, the wittily named Write by the Shore, taking place in Cockenzie. 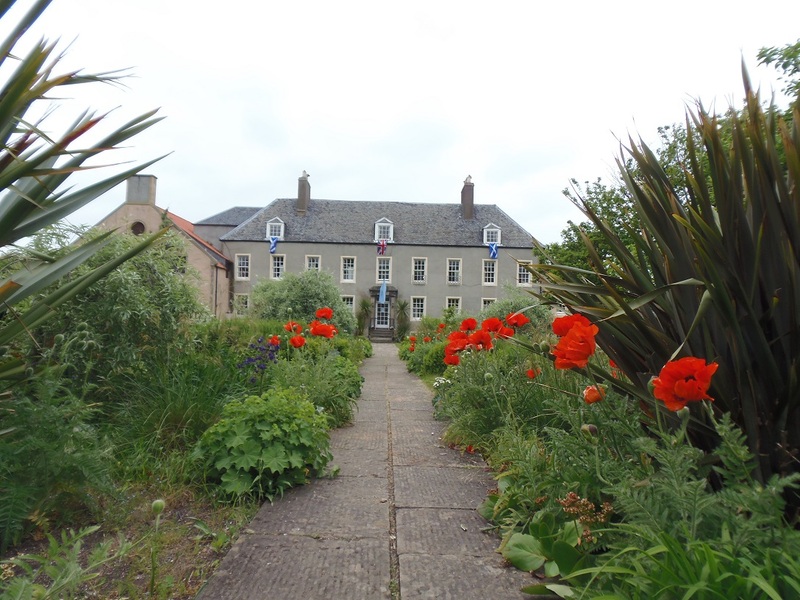 The 17th century Cockenzie House is a newly renovated arts, leisure and community venue, with a Tea room, artists’ studios, holiday accommodation, and the House is available for weddings, corporate and private events. Over the weekend, 1 – 2 November, 2014, the first Write by the Shore Book Festival features a delightfully diverse programme of authors discussing crime fiction, children’s stories, history, poetry, drama and sport. Books and storytelling for all ages and literary taste. 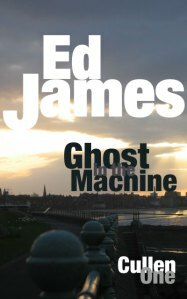 A few of the highlights to entice you along to Cockenzie House…..
Ed James writes the Scott Cullen series of popular Edinburgh detective novels. Ghost in the Machine has been downloaded over 300,000 times, hitting the Amazon UK top five. 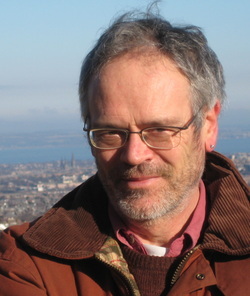 His latest novel, Snared about the crime investigations of DS Vicky Dodds, will be published in 2015. Novelist, Poet, Himalayan mountaineer and avid traveller, David Grieg wrote one of the most heart-breaking, poignant and passionate novels I have ever had the privilege of reading. 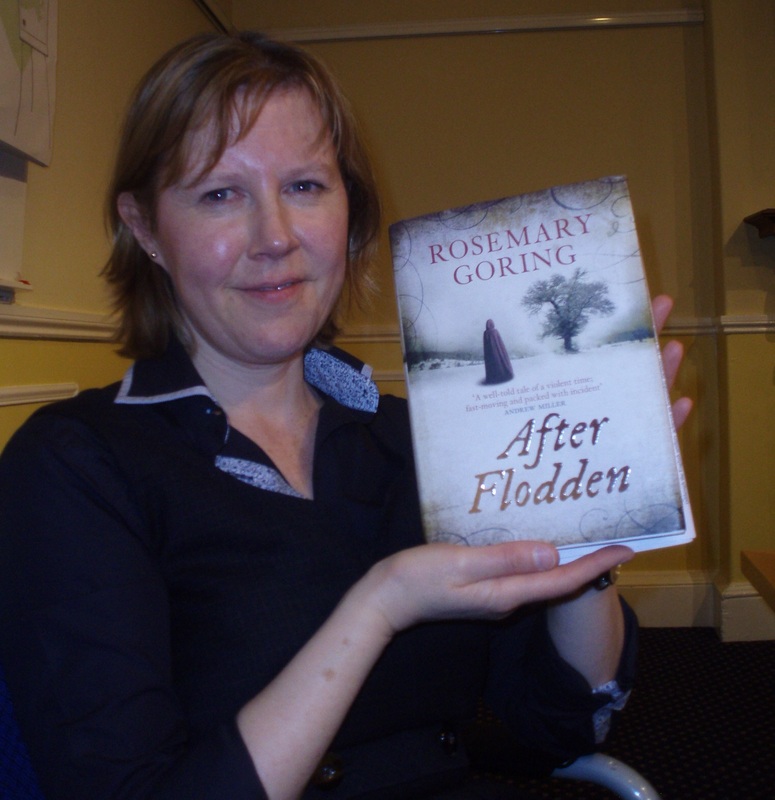 In Another Light (2004), set in Penang and Orkney, won the Saltire Scottish Book of the Year. Whether fiction, poetry or narrative, Greig shares his own personal life experiences, emotions and interests. His latest book Found at Sea (Birlinn), is a lyrical travelogue based on an adventurous sailing trip from Stromness in Orkney to the deserted island of Cava. The text was dramatised for both radio and the stage blending poetry, stories and music. 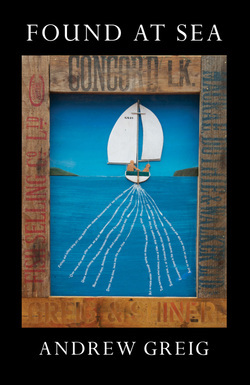 Debi Gliori has been a children’s writer and illustrator since 1990. Her books include The Trouble With Dragons, Stormy Weather and What’s the Time, Mr Wolf? . Tobermory 1, 2, 3, will be published by Birlinn in October, a sequel to The Tobermory Cat, a legendary ginger cat that isn’t afraid to be himself. 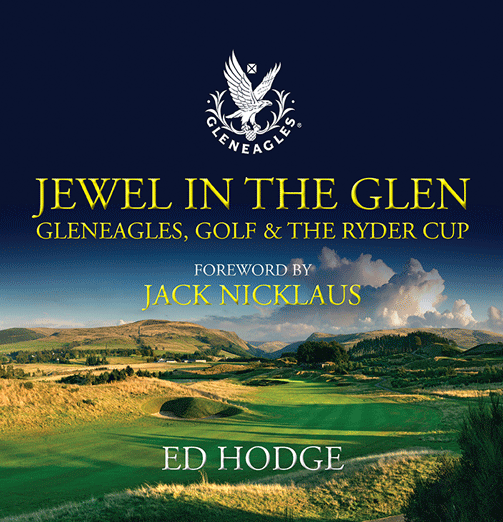 Very timely, just a month after the European victory at the Ryder Cup, Ed Hodge will be talking about his book ‘Jewel in the Glen: Gleneagles, Golf and the Ryder Cup.” (Birlinn). He is a former Gleneagles caddy and now works for the Scottish Golf Union so he should know a fair bit about the sport.! As well as these and other meet the author events, there’s music, book readings and a Festival party. A two day weekend Festival ticket, £35; one day ticket, £20; session ticket is £10. Tickets can be purchased from Cockenzie House – t. 01875 819456. Cockenzie House, 22 Edinburgh Road, Cockenzie, EH32 0HY. 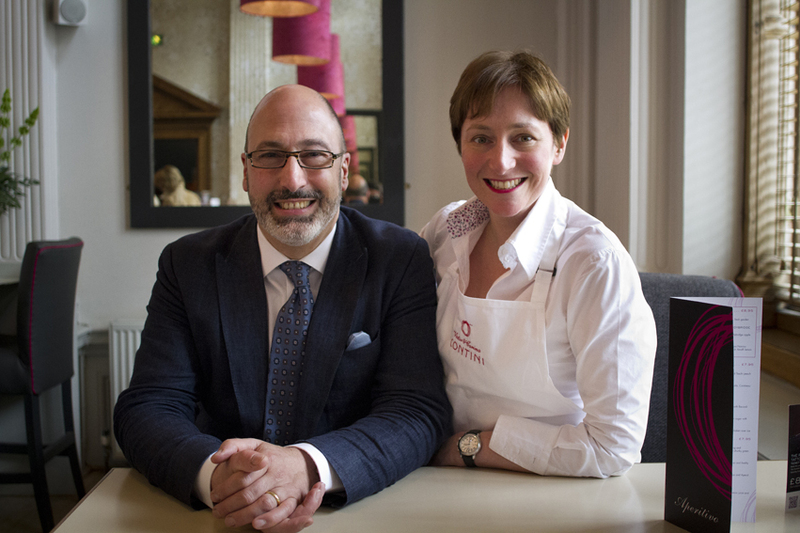 Ten years on, it’s renamed Contini Ristorante, and continues to wow diners with fresh, simple, quality cuisine. 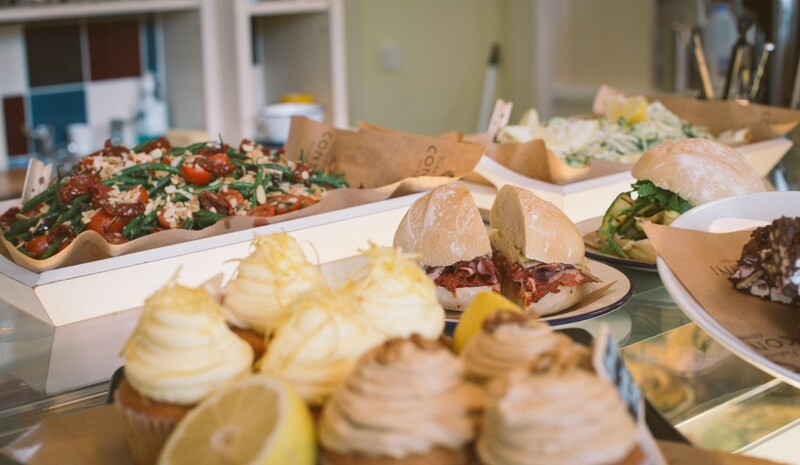 Also in the Contini collection is the Scottish Restaurant and Café located in the most perfect scenic spot, Princes Street Gardens beneath the National Gallery. 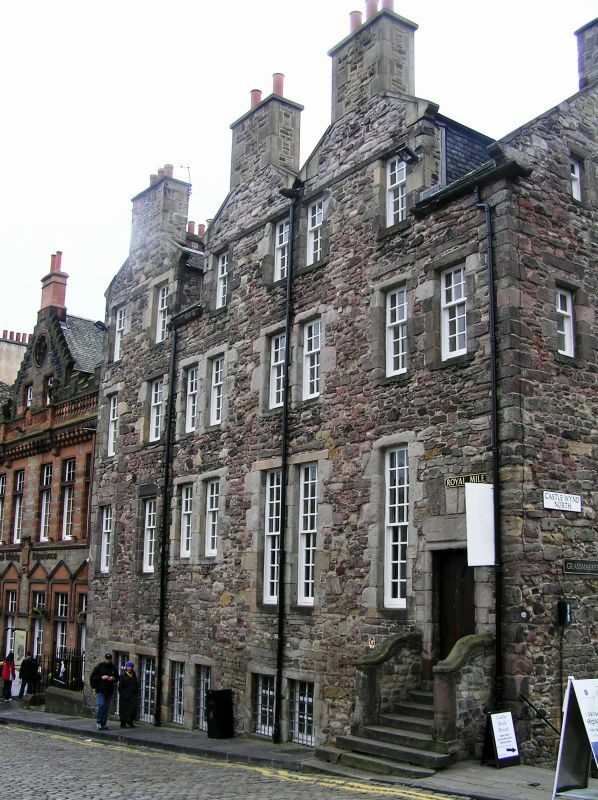 September 2014, the iconic 16th century Cannonball House at the top of Royal Mile is address of their third restaurant. Overlooking the Castle Esplanade, this new venture is in partnership with the Royal Edinburgh Military Tattoo which takes place here every August during the Edinburgh Festival season. 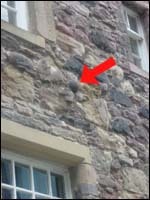 The name comes from the fact there is a cannonball lodged in the west wall. One theory is it was fired from the Castle in 1745 aimed at Holyrood Palace where Bonnie Prince Charlie was in residence. Alternatively, the cannonball marks the precise height above sea-level. Over the centuries, the building has changed from private home to Castlehill Primary School, Tattoo and government offices. 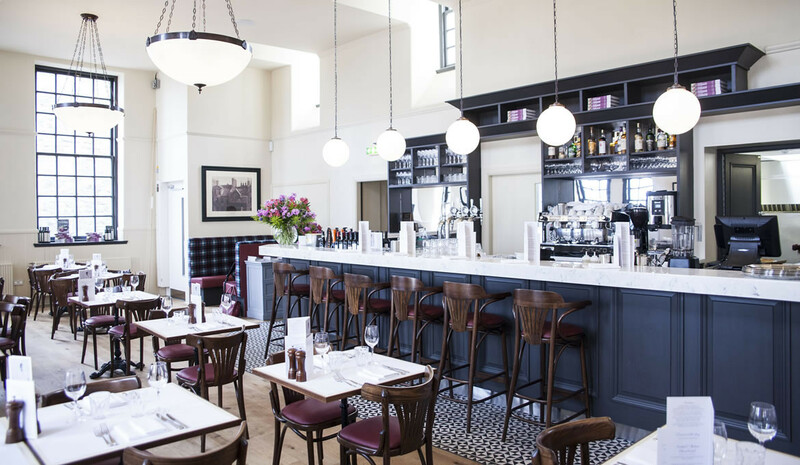 Now, the grand Townhouse has been artistically renovated to provide three distinctive venues: a traditional Gelateria, the Caffe for coffees, breakfast and Italian street food and the Contini Cannonball Ristorante. 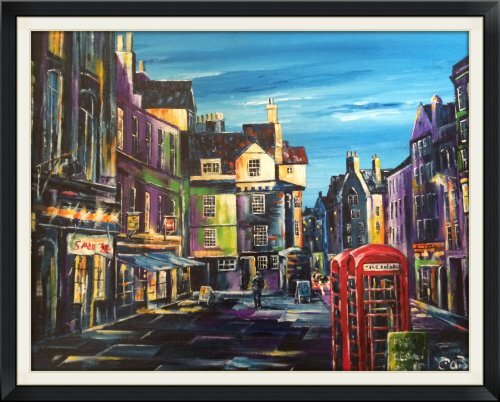 The Old Town has such a magical atmosphere as you wander up the cobbled street of the Royal Mile with its ancient Closes and up to the top of Castlehill. Then climb three flights of stairs with its high school banisters to reach Cannonball on the top floor – don’t worry, there is a lift too! The smart, modern design reflects the building’s heritage with furnishings in tartan, tweed and dark wood as well as vintage black and white photographs. Tall windows offer superb views across the Esplanade to the Castle. The ambience is casual and contemporary with a smart Cocktail bar – superb drinks list from Italian wines, Scottish beers and Whisky. Sample one of the House signature creations – Edinburgh Gin Cannonball Cocktail: Edinburgh Cannonball gin, Royal Mile Whisky raspberry liqueur, cranberry juice tonic and lemon – this fruity concoction sounds divine. For dinner, my partner Ken and I experienced the 5 course Tasting Menu, a gourmet feast of selected dishes from the A La Carte Menu. To start, home made bread and olives, with a glass of Contini’s own label Prosecco. Then the first of five courses: A rich creamy Spinach and nutmeg soup with grated Pecorini cheese. Ken also took the option of a soft poached egg on top, the drizzling yolk creating a yellow and green mosaic. Then juicy, sweet Scallops from the Isle of Mull sprinkled with dried mara seaweed adding a delicious salty crunch. With this we sipped a glass of Garganega, a crisp Veneto white wine. Next, Pumpkin Gnocchi flavoured with sage butter – very tasty but a rather large portion for a starter!. Fine Scottish seafood for our main course: a tender halibut steak served with Salsa Verde (tangy combination of anchovy, capers and garlic), dark green kale and Amalfi lemon. These giant citrus fruits from the sunny Sorrento peninsula are used for the famous Lemoncello liqueur. The ambience is lively with happy chatter and relaxing soundtrack – Billie Holliday and jazzy blues. We finish with the crème de la crème: Chocolate and Cherry Torte – rich, dark Valrhona 70% has perfect texture and bittersweet taste. Simply luscious! 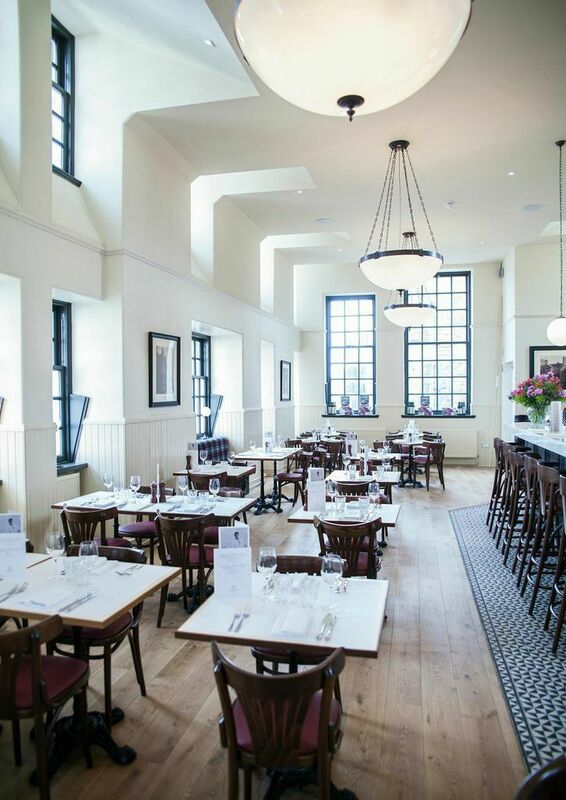 The A La Carte menu specialises in classic Scottish good food – Oysters, Eyemouth crab, Grouse, Venison and not forgetting Carina’s own speciality, Orkney Lobster Thermidor Macaroni Cheese. Now that really sums up the iconic Contini brand of Italian-inspired Scottish cuisine!. The Contini Caffe, Gelateria and Cannonball is a most exciting and innovative concept in hospitality, morning, noon and night. 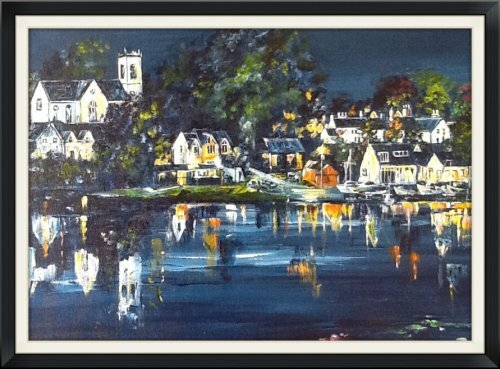 Call in for porridge and a cappuccino, a Panini and glass of wine, home-made ice-cream, Sunday Roast lunch or a romantic mini-banquet Dinner overlooking the floodlit Castle at night. Contini Cannonball is the Ferrari … the Armani of fashionable, stylish, cool and casual wining and dining. Cibo delizioso! Cannonball House, 356 Castle Hill, Edinburgh EH1 2NE. Sunday; 10am-8pm – Brunch, Roast Lunch, High Tea. 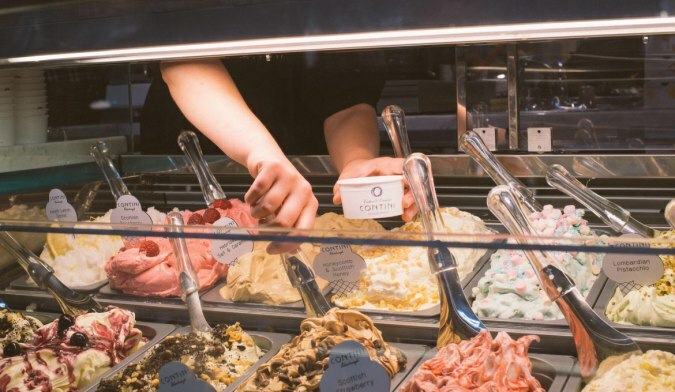 http://www.contini.com – for more details on Gelateria, Caffe and Cannonball. 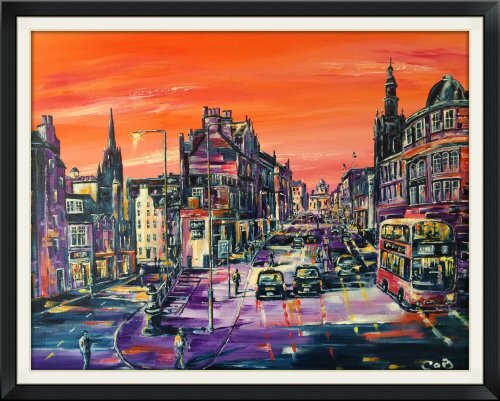 I would always recommend that visitors to Edinburgh take one of the Edinburgh Bus Tours, the best way to explore the iconic sights and get your bearings around the city. The choice of journeys cover the Old and New Towns, the Castle, Royal Yacht Britannia, Museums and the Royal Botanic Garden to suit all ages and interests. 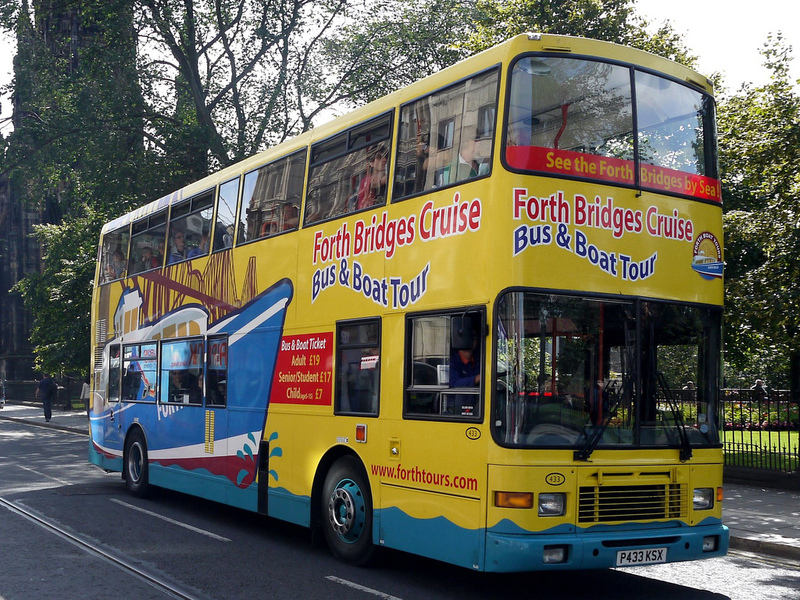 A rather special travel experience is the Forth Bridges Bus and Boat Tour from Edinburgh to South Queensferry. From the Harbour, step on board the Forth Belle boat for a wildlife and sightseeing cruise around the Firth of Forth to Inchcolm Island. This is certainly not just reserved for tourists and travellers – this is a fun trip for local residents around Edinburgh and perfect for families with children. My friend Fiona and I took the opportunity of a warm sunny day last week, Tuesday 30 September, to experience this Bus and Boat Tour departing at 10.30am so that we could enjoy a good day out. N.B. The Starting Point on St Andrew’s Square is not the same Bus Stop as for the other main Edinburgh tours, but across the Square beside Amarone Restaurant, near the corner with George Street. There was quite a crowd of young international tourists queuing up for this tour, all rushing upstairs – unfortunately, it’s not Open Top as it was a lovely day. The journey time is about 35 minutes to reach South Queensferry, the small town located between the two famous Forth Bridges. The Bus stops beside the Pier opposite Hawes Inn, which was used by Robert Louis Stevenson as the Admiral Benbow Inn in his novel, Treasure Island. It was just a short walk down the Slipway (and be careful, it is slippy with mud after the tide goes out), to embark on the Forth Belle. It is well designed with benches at both bow and stern, as well as a spacious salon inside with long banquette seats and tables. Windows all round offer a fine view if you don’t wish to sit outside. Downstairs the Belle Bar started doing a great trade in drinks, (coffee, wine, beer, coke and snacks), as we set off on our voyage. The Skipper gave a running commentary pointing out islands, Aristocratic Stately Homes, and stories of shipwrecks and sunken submarines. And we saw many seabirds flying overhead and seals basking on the rocks. Inchkeith Island was the setting for a bizarre social experiment. In 1493, King James I arranged for a deaf and dumb woman to live here with two infant children. It was hoped that when the children learnt to speak, free from normal human communication, they would reveal the original tongue – the language of the gods. Fiona and I had both been avid Enid Blyton fans as young girls and this Boat trip was to be our own exciting Famous Five Adventure. What kind of treasure would we find.? We had packed a Picnic lunch with of course “lashings of Ginger Beer”. As Anne and George (without Timmy the dog), on the half hour cruise our refreshments were Ginger Beer ….and Bucks Fizz! Day trippers on the Bus and Boat Tour have the option to stay on board and return to South Queensferry or disembark on the island of Inchcolm. Plenty to see and do here for an hour and a half until the next Boat arrives and then return to the shore. Historic Scotland charge a landing fee (£ 5.50 /£3.30) for all visitors which pays for the island staff and the preservation of its ancient Abbey and natural environment. It is certainly worth the ticket price to spend time on this hidden gem of a tiny island, rich in birdlife and wonderful sense of history. Inchcolm is called Iona of the East, due to its Religious heritage; in the early 12th century Augustinian canons settled here creating the Abbey, Cloister and Monastery. There’s also a Hermit’s cave, the home of an islander, many centuries ago. See the old ovens where they probably baked bread and perhaps roasted chickens, and climb the narrow spiral staircase up to the battlements for views over to Fife and Edinburgh. During the First and Second World Wars, the island was a military base, heavily fortified to defend Rosyth Naval Base and the Forth Bridge against attack. The lookouts, tunnels and concrete bunkers can still be seen today. 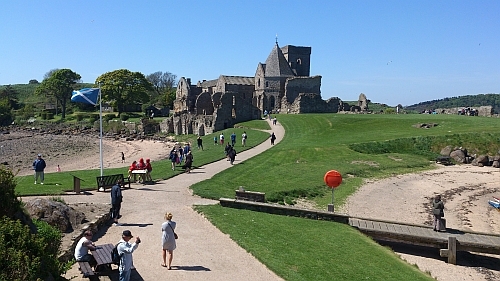 Inchcolm has beautiful sandy beaches, rocky coves and benches around the Abbey gardens with well kept lawns and flower beds – so do bring a picnic as we did and experience the peace and tranquillity of this enchanting place. Browse the gift shop and small museum featuring archeological artefacts and information on the island’s history. Then it will be time to walk back to the pier and board the Forth Belle when she comes back again. The return cruise heads back to the Forth Bridge, on to the Forth Road Bridge and now with the chance to see the building of the Queensferry Crossing now under construction. At South Queensferry, the Bus is waiting for passengers and we speed back to St Andrew’s Square. Having left Edinburgh at 10.30, it’s not nearly 4pm, by the time we arrive back. With lovely sunny weather, spotting seals and gannets, and exploring Inchcolm, it’s been a magical, memorable trip around the Forth. Fiona and I certainly had a fabulous Famous Five Island Adventure – complete with our picnic of egg sandwiches and lashings of ginger beer.! April to the end of October. 2 – 4 tours daily depending on the day and season. See timetable on brochures and website. 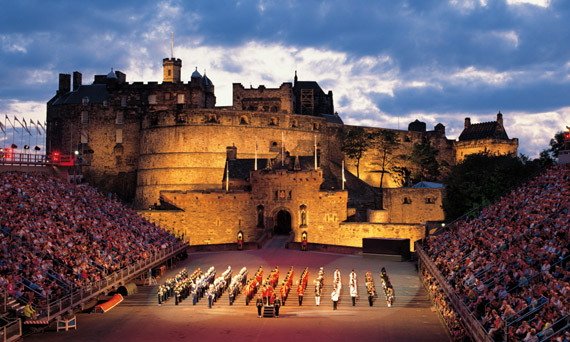 http://www.edinburghtour.com.